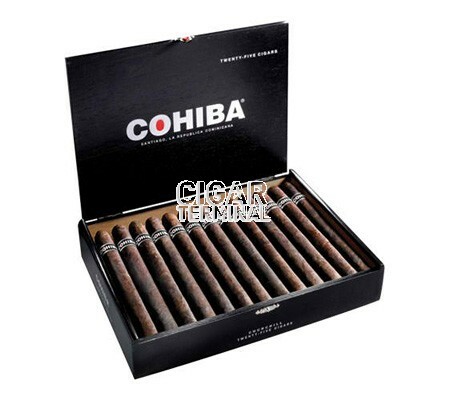 Meticulously handcrafted in the Dominican Republic, Cohiba Black Churchill cigars are superb maduro cigars, dark, oily with a hearty Connecticut Broadleaf wrapper aged on the plant to yield an exceptionally rich, dark and bold leaf. Meticulously handcrafted in the Dominican Republic, Cohiba Black Churchill cigars are superb maduro cigars, dark, oily with a hearty Connecticut Broadleaf wrapper aged on the plant to yield an exceptionally rich, dark and bold leaf. 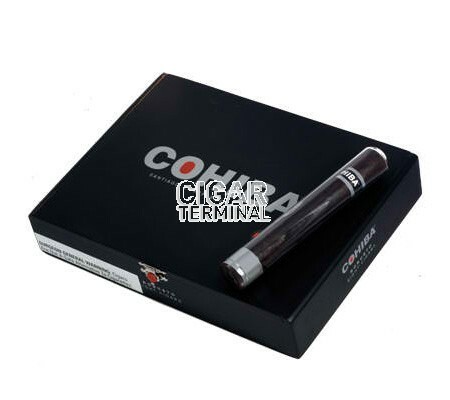 Bound with choice sun-grown Dominican Piloto Cubano leaf which is aged in Tercios for three years, and filled with a blend of hand-selected tobaccos, each also aged in tercios for three years, Cohiba Black cigars contain Mexican and Dominican fillers. 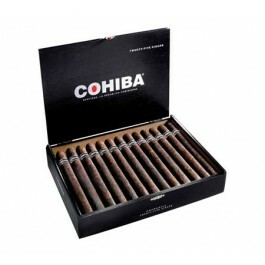 Cohiba Black cigars boast a characteristic deep color and rich, complex flavor.